This week’s visit of an incumbent US president to India—for a second time, and as chief guest on India’s Republic Day for the first time ever—is in and of itself significant. Anyone with even a nodding acquaintance of foreign and security policy will know that relations with the US constitute among the more important, if not the most important, bilateral ties for India. The visit of President Obama was important not only for the elevation of these ties but also for efforts relating to stability and security in the Asia-Pacific and Indian Ocean regions, particularly concerning the US-India joint strategic vision document. Its significance was further acknowledged yesterday, when Indian Prime Minister Narendra Modi promoted his ambassador to the United States, who laid the groundwork for the summit meeting, to the role of foreign minister. As the world’s two largest democracies, India and the US have worked over the last two decades to develop steadily evolving relations. There are nearly 40 dialogue mechanisms in place, demonstrating both the wide canvas and depth of the relationship. In assessing these, it is useful to set aside the hype that usually accompanies summit-level interactions of this kind and seek a clinical perspective. The US is the world’s largest economy with a gross domestic product (GDP) of 18 trillion USD or more, twice the size of the Chinese economy and nearly 10 times the Indian economy, which has a GDP of less than 2 trillion USD. There are obvious benefits to India maintaining a close relationship with such an economic powerhouse, but this doesn’t mean that things have always gone smoothly. Less than a year ago, as a chief minister in election mode, Narendra Modi had to be persuaded to receive the US ambassador, who had been sent under instructions from Washington to signal a change of attitude toward the man who was set to be the next prime minister of India (Modi had previously been subject to a visa denial for over a decade). Both nations will want to rescue the relationship from its lows and inject substance and content to give it traction that will generate momentum. And here, the pointers are positive. Both President Barack Obama and Prime Minister Modi have called for forging deeper ties. Obama has gone a step further: He has said the relationship can be the defining partnership of the 21st century. 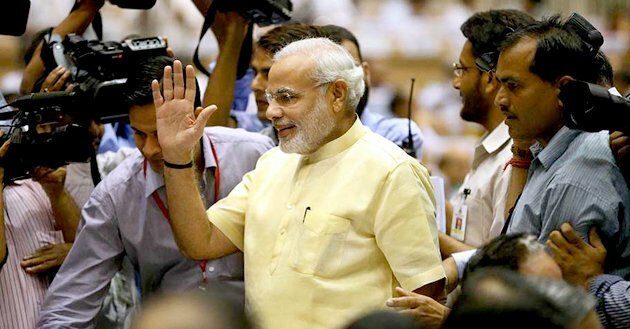 During Modi’s visit to Washington in September 2014, the two leaders decided to establish a contact group to rescue the India-US civilian nuclear deal, which Modi described as the cornerstone of a transformed relationship. The deal, which will allow American companies to supply India with the necessary technology for its civilian nuclear program, had been held up for years by concerns about liability for any accident that might occur. The solution, agreed during Obama’s recent visit, was to create a large insurance pool, which can be accomplished without the need to revisit India’s domestic legislation on nuclear liability. A categorical statement to that effect from Modi was accompanied by an assertion that what had been achieved was consistent with India’s international obligations. The government will contribute to the insurance pool for the first few years, until the insurance companies are able to maintain it on their own. However, this will be an investment and the government will earn a share of the premium on it. The profits, if any, will go back to the pool, whose size will grow with time, thus assuring easy and prompt payments. The impact on power plant costs would be minimal. Even in the US, operators pay an average of 1 million USD per year per site, a small fraction of the total cost. There will be no additional burden on the Indian taxpayer and whatever risk exists will be addressed through a risk management scheme. More work, however, remains to be done. India will need to utilize the remaining two years of Obama’s term to persuade the US to do the heavy lifting required to help India achieve full membership of the Export Control Regimes, the Nuclear Suppliers’ Group, the Missile Technology Control Regime, the Australia Group, and the Wassenaar Arrangement international safeguards. The decision to renew the decade-old defense cooperation agreement between India and the US is also significant. This was expected and is again a pointer to the direction in which the two countries wish to develop relations. The identification of four pathfinder projects for joint development and production under the Defense Technology and Trade Initiative could develop into a stronger partnership. A much greater challenge lies in determining how enhanced economic cooperation, investment, and technology from foreign suppliers can contribute to the “Make in India” campaign, which Modi established to help strengthen India’s manufacturing sector. The US and India have a shared interest in boosting manufacturing in an overall global climate of falling demand. In reflecting on Obama’s visit, it should be remembered that former Indian prime minister Manmohan Singh often lamented that summit-level decisions were not followed up by India’s line ministries. But, with a prime minister heading a government with a comfortable majority in the Lok Sabha (lower house of parliament) and, within two years, possibly also in the Rajya Sabha (upper house), that could be set to change.